But the group’s primary concern is for people who haven’t yet reached retirement age, highlighting one of the biggest problems with the GOP’s plan to use tax credits in lieu of Obamacare subsidies. As proposed, the plan does not offer enough to help older people pay for what would become much more expensive coverage if the subsidies are scrapped and the GOP’s proposals to relax current age-based caps on premiums go through. Under the Republican proposal to offer refundable tax credits, the older and poorer you are, the bigger the check you’ll get from the IRS. Someone who’s 64 -- too young for Medicare -- would be eligible for a $4,000 tax credit to buy a plan. But AARP notes that the average premium for a person in his or her early 60s would be thousands of dollars more than that, if the current 3:1 “age rating” rules capping premiums for older participants are relaxed to 5:1. Under the ACA, older Americans can be charged no more than three times what younger participants with same kind of coverage are charged. The new plan would allow insurers to charge older Americans five times what they charge younger participants. 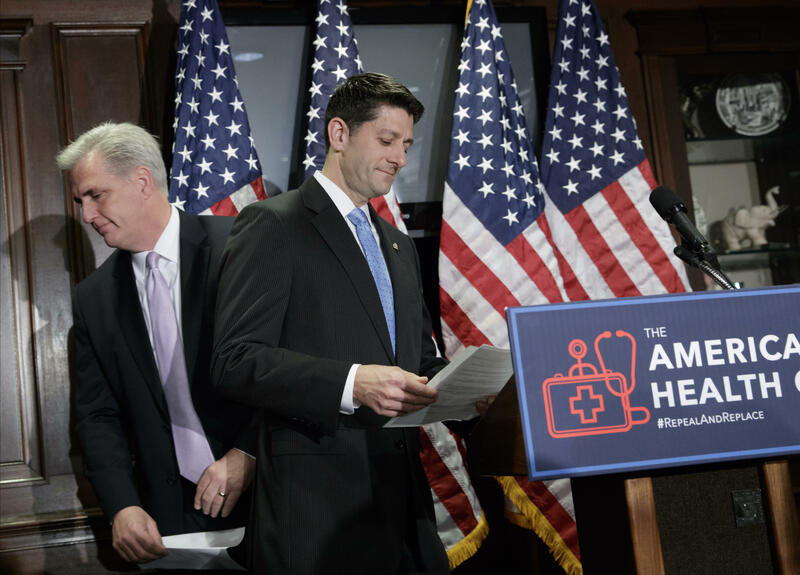 Comparing the GOP plan for tax cuts and a 5:1 age rating with the subsidies now offered under Obamacare, AARP estimates that an unmarried 64-year-old making $15,000 a year -- assuming they live in a state that has not expanded Medicaid -- would see their premiums go up $8,400 a year. For this reason, AARP calls the bill an “unaffordable age tax,” and says it will have a disproportionately negative impact on poorer, middle-aged Americans. Republican lawmakers are also drawing opposition from conservative advocacy groups. Heritage Action said of the House GOP proposal that it “not only accepts the flawed progressive premises of Obamacare but expands upon it.” And Americans for Prosperity and Freedom Partners, both Koch-affiliated groups wrote to House Speaker Paul Ryan to say that they “cannot support” what they referred to as “Obamacare 2.0.” Club for Growth slammed the bill for failing to offer “the critical free-market solution of selling health insurance across state lines” and called it a “warmed-over substitute for government-run health care.” If the bill remains unchanged, “the Club for Growth will key vote against it,” a statement from the group said.